Former world number one Tiger Woods, a 14-time major champion, shot his best sub-par round since a 10-under 62 in the second round of the 2013 edition of the elite 18-player event that benefits his charity foundation. Tiger Woods evoked memories of his glory days by firing a bogey-free seven-under-par 65 Friday at the Hero World Challenge in his second round after a 16-month back surgery layoff. Former world number one Woods, a 14-time major champion, shot his best sub-par round since a 10-under 62 in the second round of the 2013 edition of the elite 18-player event that benefits his charity foundation. "It was very important for me," Woods said. "I don't know what it is about playing and competing, but keeping cards clean, there's something really special and it feels pretty good doing that." 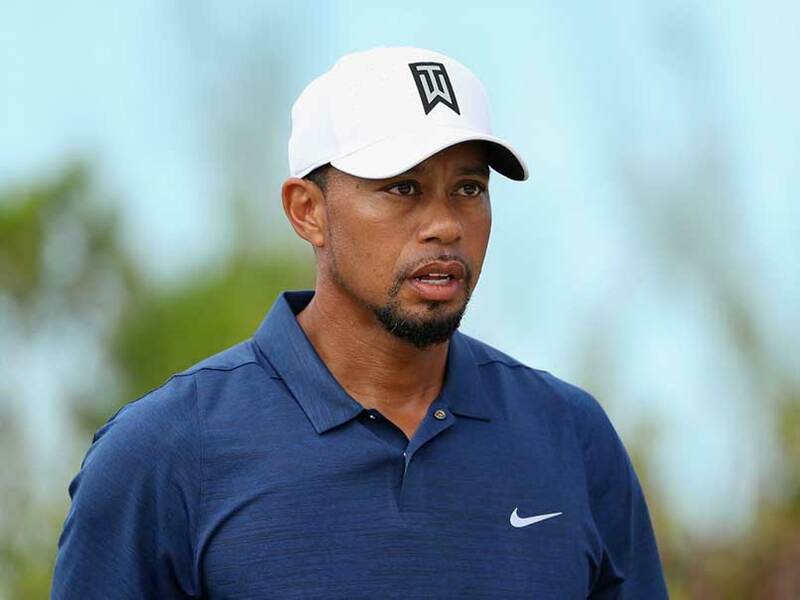 Woods thrilled about 200 spectators at the 7,302-yard Albany Golf Club in a remote Bahamas billionaire enclave to finish 36 holes on six-under 138 -- level ninth and six shots behind co-leaders Dustin Johnson and Hideki Matsuyama. "Through 15, I didn't really miss a shot," Woods said. "I really had it dialed in." Woods, playing alone after England's Justin Rose withdrew with back pain, opened with a birdie and added another at the par-5 sixth, chipping from sand to 12 feet and sinking the putt. 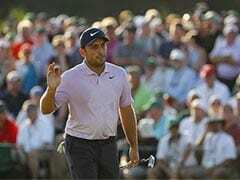 He then salvaged par with a six-foot putt at the eighth after pulling his tee shot into sand and bushes, telling caddie Joe LaCava, "I'm not dropping a shot." He didn't. Woods birdied the par-5 ninth and 11th holes after bogeys on both Thursday, lipping out a 25-foot birdie putt at 10 in between. Woods put his tee shot inches from the cup at the par-3 12th, saying, "I couldn't hit any better," then curled in a 10-foot birdie putt at the 14th and tapped-in for birdie at the par-5 15th. At 16, where Woods made double bogey Thursday, sent his tee shot behind a bush in rocky sand. He blasted out and rolled a 20-foot par putt into the cup, pumping his right fist and smacking the putter blade to celebrate. "That was big, to not go down a shot and not lose any momentum," Woods said. "I wanted to keep that card clean." Woods sank a three-foot par putt at 18 to finish his round after only two hours and 54 minutes. "Making some of those putts and those two birdies at 9 and 11 changes the entire energy of the round," Woods said. "Instead of being angry at myself and ticked and trying to fight back, now I'm building momentum and energy. 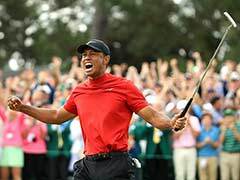 Woods, who turns 41 later this month, has not produced such a score against a fuller field since a 9-under 61 in the second round of his most recent victory -- the 2013 World Golf Championships Bridgestone Invitational at Firestone. Until Thursday, Woods had not played a competitive round since August 2015, when he shared 10th at the PGA Wyndham Championship in Greensboro, North Carolina. "I hadn't felt the competitive flow and feel in a long time. 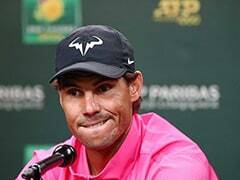 It has been almost a year and a half," Woods said. "And today I had it early. The first tee shot I felt very comfortable." Woods, ranked 898th in the world, ended the longest layoff of his career after 466 days, then electrified those seeking signs he might regain the form that once dominated golf. "I turned those holes around. Consequently, the momentum, the feel of the entire round changes," Woods said. "That's what you have to do. That's how you win golf tournaments." Woods, whose 79 career titles are three shy of Sam Snead's all-time record, said he has slightly altered his swing to ease the stress on his back since the operations last September. "I've made subtle changes here and there," Woods said. "I've tried to go back and look at and do some stuff that I used to do as a junior that I did naturally." Woods said his body felt better than Thursday, calling that "a very good sign."